Two Burnetts lawyers have completed a punishing 22 peak challenge to raise funds for The Lake District Calvert Trust. 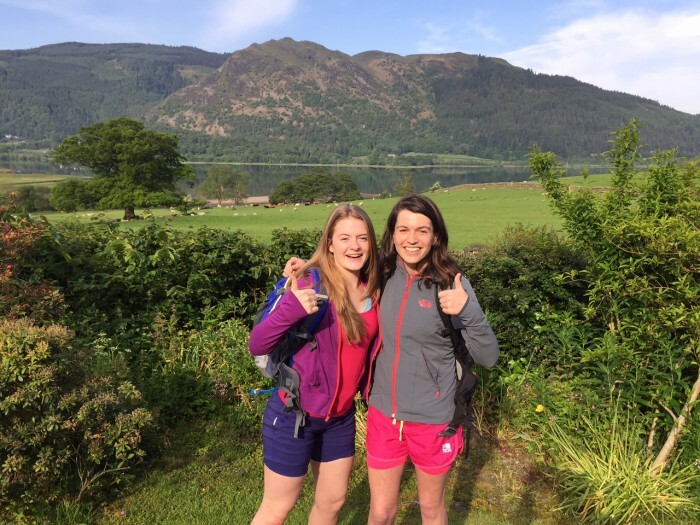 Sara Worsick (pictured left) and Sian Spencer (right) have raised almost £1,500 for the Trust by completing the three day challenge from 12th to 14th June, scaling the four highest mountains in England on a hike of more than 110km. Sara is a Trainee Solicitor and lives in Calthwaite. Sian (36) is an Associate Solicitor and lives in Cockermouth. Note to Editor -The Lake District Calvert Trust centre is located on the shores of Bassenthwaite Lake and offers a warm welcome; accessible accommodation and exciting breaks for schools, groups, families and individuals with their friends and carers. The centre is accessible to people of all ages with sensory, learning or physical disabilities, including those with the most complex needs for which most outdoor centres cannot cater.